We are offering Pigment Black BN. Heat Stability: 350 Deg Cel. Below are the product details of Black Pigment Paste Dyes. - We bring forth Black SPG that is very popular owing to its premium quality. Black Pigment Emulsion is available in fastness range with light fastness of 7-8 and washing fastness of 5. We hold expertise in offering a top-of-the-line range of Carbon Black Pigment to our clients.These are cost-effective and are environment friendly. 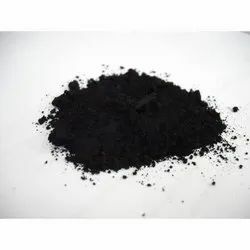 Owing to our excellent product quality and stable production technology parameters, these Black pigments have been highly applauded by the clients.